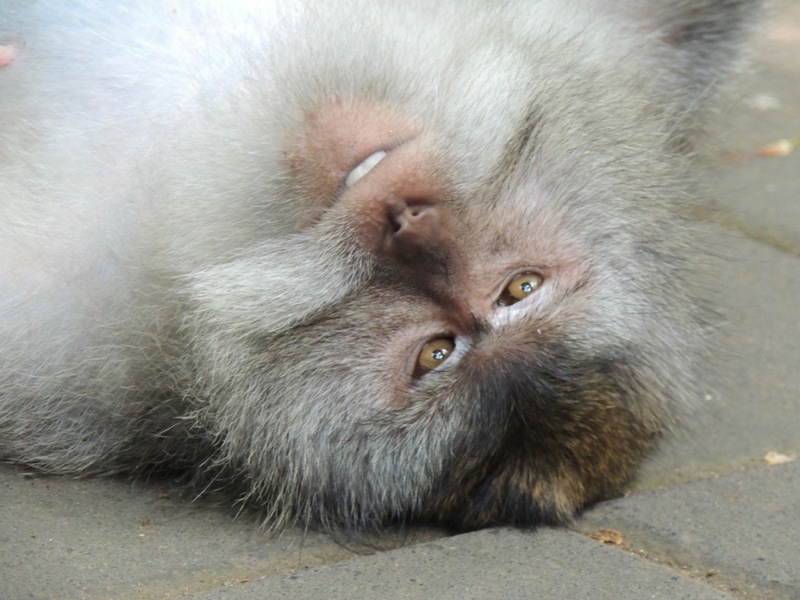 Have been meaning to update our travel blog with these photos for some time now but have only just got around to it now – only 7 months later! We’ve been to many places since our tour around Asia in 2013 but this was a very memorable trip for lots of reasons. Since visiting Northern India at the beginning of our sabbatical we’d always hope to return to this amazing country but had put our plans aside in hope to extend our little family… but nature had other ideas and this journey was a roller coaster that took much longer than we had imagined. In Jan 2015 we took the plunge and decided to book and return to India during Easter break hoping this would give us a new focus. We couldn’t believe our luck and in fact wouldn’t believe it until 20 weeks later! 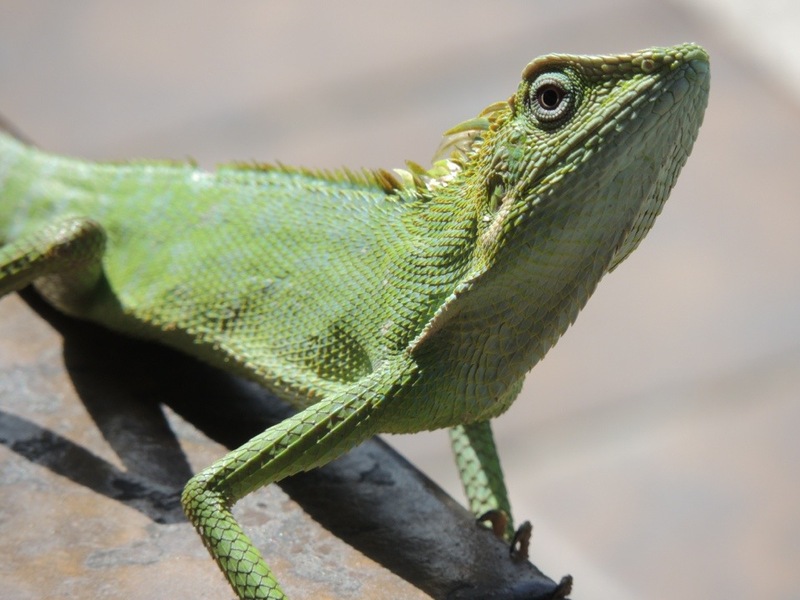 So what next… do we cancel the holiday that brought us this luck in the first place? Surely? We had no idea what to do but was convinced by our Indian GP to go with our plans and reassured that India would be no danger to our growing baby. This was probably the scariest trip of our lives and there was a few times throughout when we did consider flying home but so glad we persevered and got to see one of the most beautiful places ever. The people in Kerala were amazing, some of the kindest, friendliest and most accommodating people we have met, a special thanks to our guide Prem and friend Kerry who really helped us to relax and enjoy our travels. The place was lush green and very colourful, the food I am told by George was delicious but unfortunately not to a pregnant woman’s taste buds and although we’re not very spiritual ourselves we had to admire the people who live here for their commitment to their faith Hinduism and the holistic way of life, to anyone who visits an Ayurvedic Indian massage is a must. Children playing cricket in Cochin, India’s favourite pass time. Notice the sign ‘god’s own country’ in front of the field. The G-Adventures gang heading to the backwaters & Indian street life. The beautiful backwaters in Alleppey. We had the pleasure of staying with a friendly Keralan family who guided us around the village and taught us how to cook Keralan food. The cooking class was amazing, just a shame I couldn’t fully embrace it with my heightened sense of smell! The food at the homestay was probably the best food we ate throughout our trip. Women picking shells off cashew nuts. Keralan women maken coir door mats out of coconut shells. 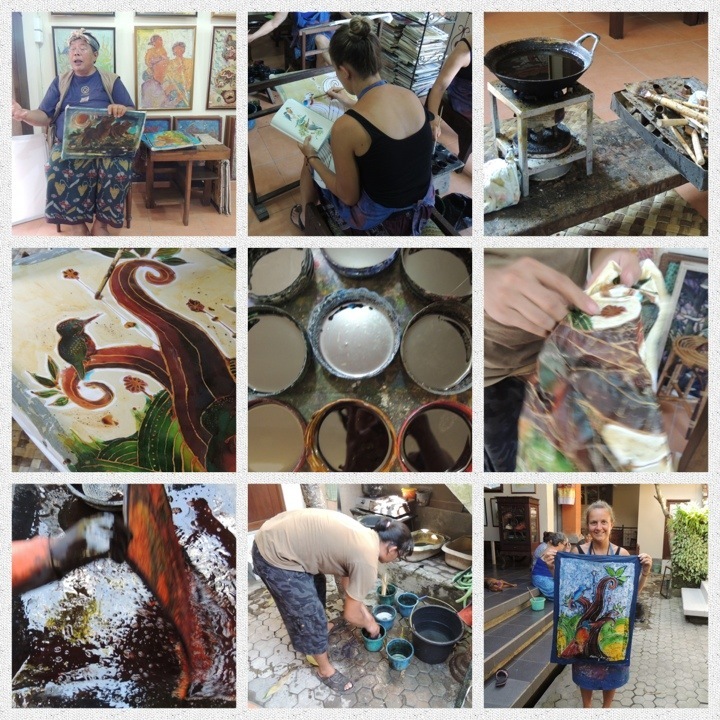 We travelled from Kochi to Varkala by bus with our friends from G – Adventures stopping at the beautiful backwaters in Alleppey and the bustling fish market in Kollam on our way. 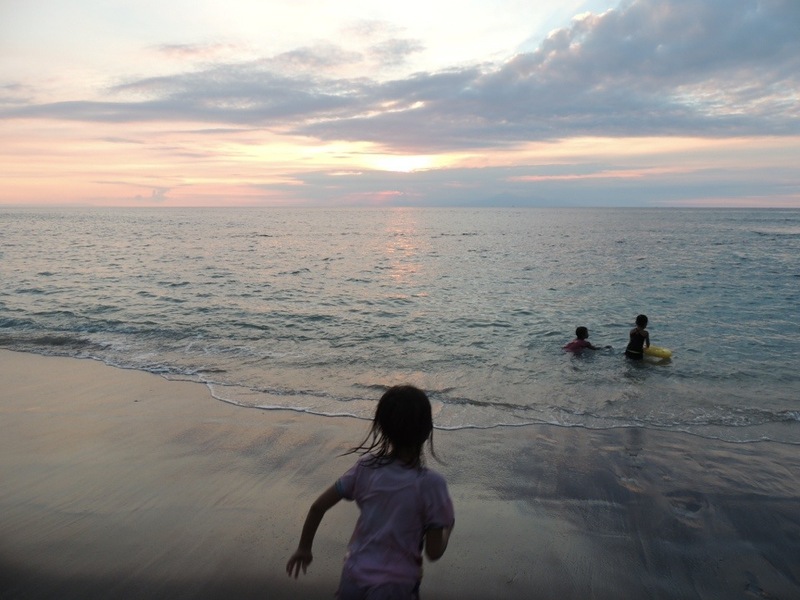 The sunsets in Varkala were probably the best we’ve ever seen. We stayed in the beautiful Villa Jarcaranda, a rustic house with antique Indian features and the most amazing views of lush jungle and the ocean. Every morning we ate a fresh fruit breakfast over sunrise. 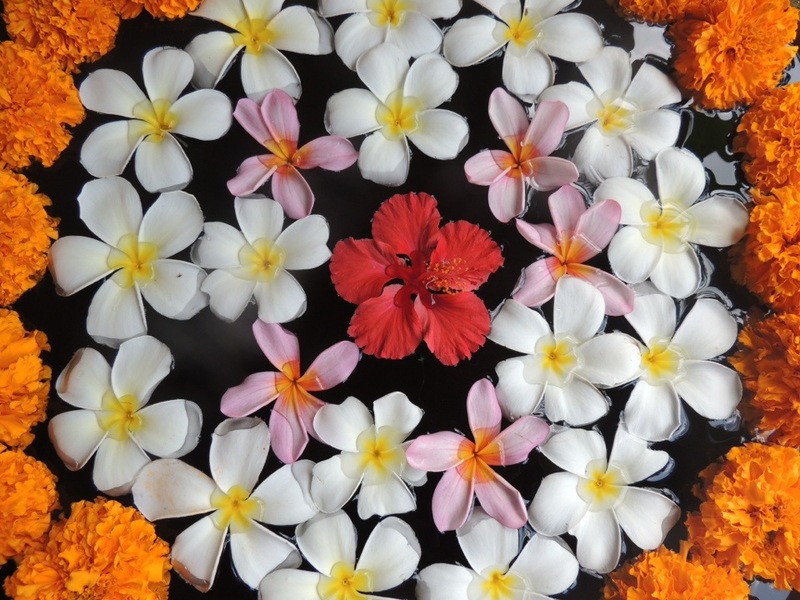 The philosophy of yoga is one of the most important parts of Keralan daily life. Above are some photo’s from the ‘Bohemian Massala Arts Cafe’ a hidden gem on the North Cliff. The homegrown Keralan food and yoga with ‘Sunil’ a traditional Indian yogi was probably one of the highlights of our trip. 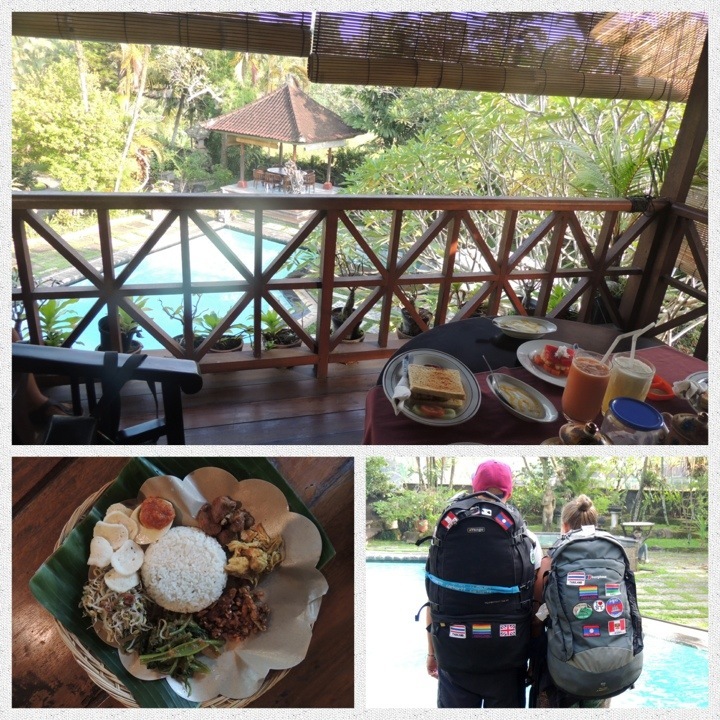 Since arriving in Asia 10 weeks ago we’ve tried as much as possible to eat local food and integrate with the local people therefore it important for us to spend the short time left somewhere truly Balinese. 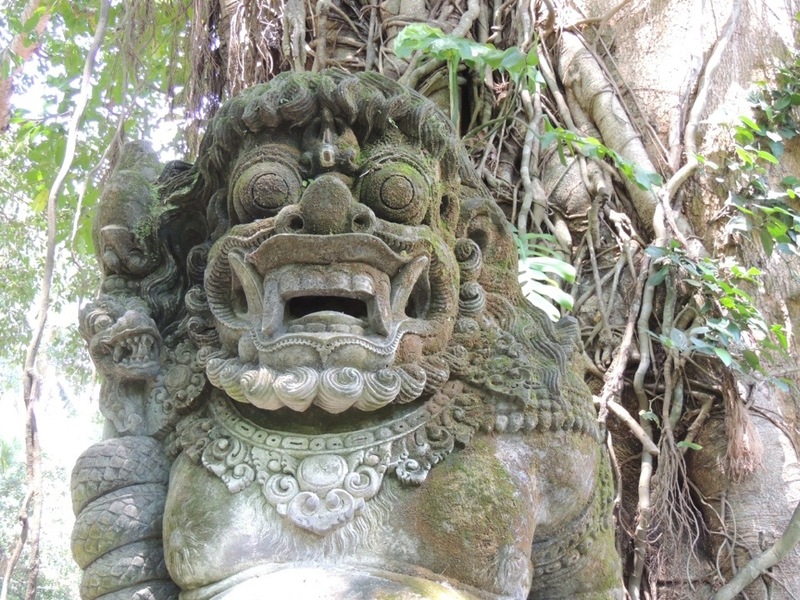 We had been warned that the renowned Kuta was something of a Benidorm for the Aussies so despite it’s proximity to the airport we decided to avoid and instead spend our last two days in authentic Oki Wati, Ubud – and was fortunate to be upgraded to the nicest room in the hotel ‘The Buddha Room’. The last days were a bit cloudy so besides regular moisturising in an attempt to save the tan we spent our time doing as most do on their last days – bargaining for cheap presents at the market, eating as much Asian food as possible, overdosing on the delicious fruit shakes and Ice Lemon Tea and getting a massage which was insanely just £3 for a full hour! It was also nice to reunite with fellow Northerners Paul and Jackie whom we had met a few days earlier in Gili Trawangan. 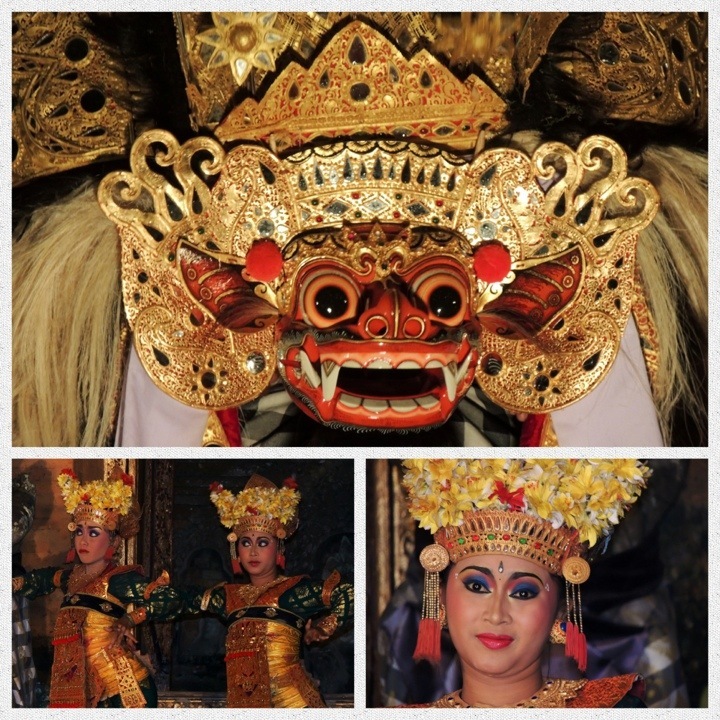 On the final evening we managed to see a Legong dance show at Ubud Palace. Legong is a classical dance in Indonesia that is centered around 3 girls – the palace attendants. The story is based around King Lasem, Prince of Langkesari Daha Kingdom. Although their was many tourist at this particular show we had discovered throughout or travels in Indonesia this type of dancing is a significant part of culture and events such as these can take place every night in most villages and towns. 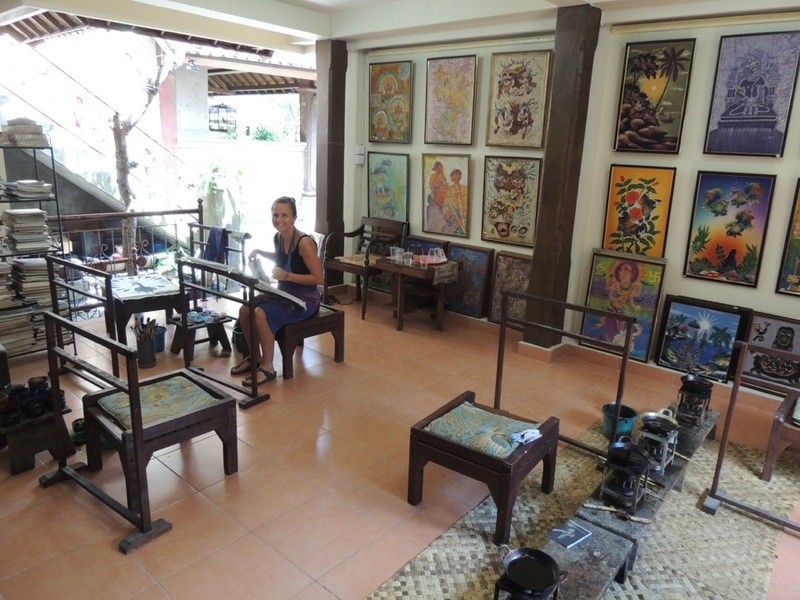 In fact in every country we have visited men and women seem drawn to music and art. This is creativity may have spurred from not having a materialistic lifestyle…? Breakfast on the balcony at Oki Wati (fresh fruit shakes, homemade yogurt and fruit), Nasi Campur – going crazy on the Asian cuisine on our final Days, Waving Goodbye. 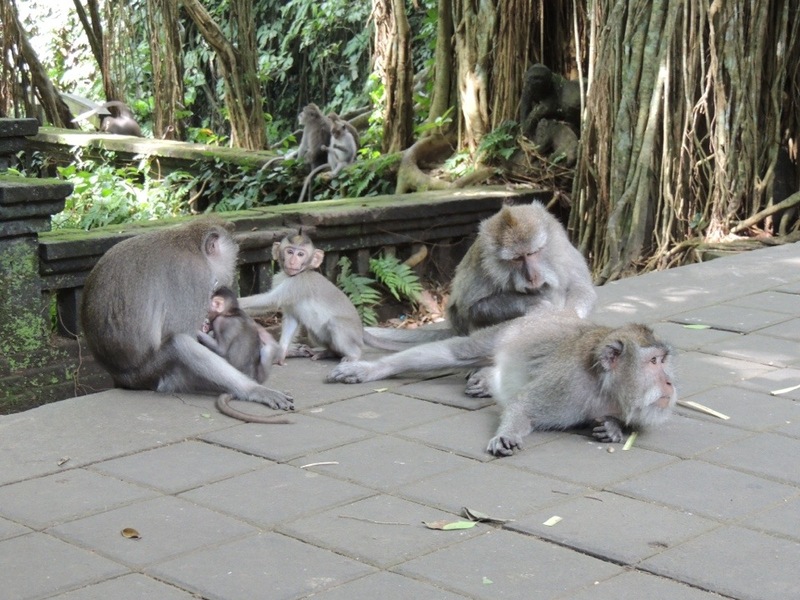 The Amazing Temples – Prambanan, The Taj, Bhodubura and many more. Public transport that always takes three times as long as what they tell you! So goodbye Asia! In approx 26 hours we will be back in rainy Manchester hopefully plotting our next adventure. We would like to say a huge thanks to all those people who have made our trip the best one ever – To Min Thapa & Jamie at Mongolian Trekking for making us part of your family and accompanying us on an amazing trek through the Himalayas, to Raj at GAdventures for making our trip Delhi to Kathmandu the most interesting and exciting trip we have experienced and hassle free! to all the new friends we have met throughout our travels and to everyone who has took the time to read, follow and comment on our blog! We knew we were going to enjoy our time at Gili Meno as the boat we took from Lombok landed at what could only be described as “Paradise”. Gili Meno is one of three islands that make up the Gili’s (Gili Air, Meno and Trawangan) located around half an hour east by boat from Bangsal Harbour, Lombok. Meno the smallest and most quiet of the three islands, is a place most people come for quiet time or to snorkel/ dive the islands many beautiful coral reefs. You can walk a full lap of its coast in around an hour (if you can handle the heat! ), and it was also a pleasant surprise to notice on arrival that the only means of transport on the Island and in fact on all of the Gili’s is either by a small horse and cart or by push bike. The accommodation we stayed in was pretty unique, it was based around one of the traditional Lumbung buildings once used to house rice off the ground and away from moisture, but the area for the rice had only side walls (no front and back panels) allowing sunlight and a sea breeze to flow through from the beach immediately in-front. It was also a nice treat to fall asleep under the protection of a mosquito net only listening to the sound of the ocean and the calls of the local crickets and birds. 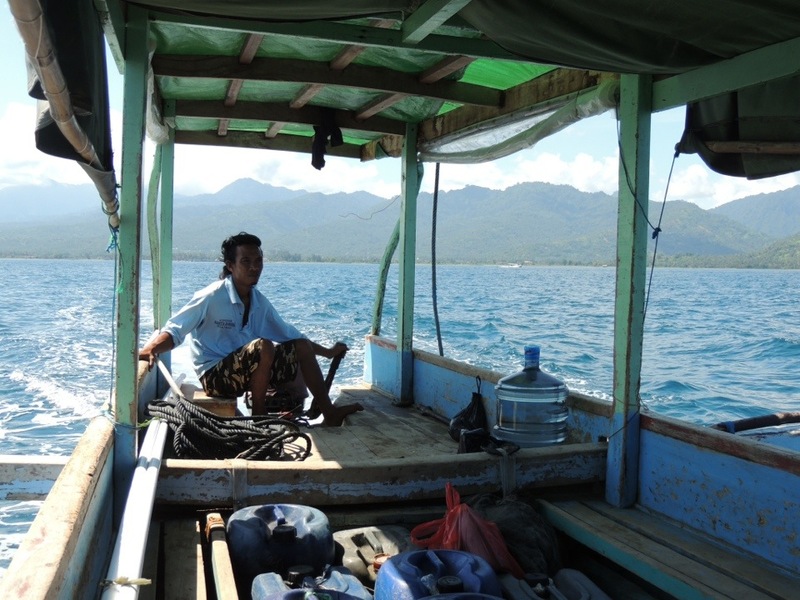 Our boat leaving for Gili Meno, Lombok in the background. On our first day we decided to get some Snorkels and fins and go out and see what was living in the crustal clear turquoise waters. We were amazed to see many different types of Marine fish then blown away when we noticed a big hawks head turtle very casually and elegantly swim by. We were both pretty excited to have seen such a beautiful creature out in the wild in its natural habitat. Inspired by what we had already seen we thought it would be crazy not to see what lies a little deeper in the water and so booked ourselves onto a beginners diving course. This involved being taught some of the basic skills and hand signals required to communicate underwater, and showed us how to use the equipment needed to dive. I immediately felt comfortable under the water but Rachel was a little more nervous, although by the end of the session we were both happily swimming along enjoying the beautiful corals and marine life. After the initial dive I was really keen to get in the water again so asked if I could join them on the boat for an afternoon diving at Halik Reef just north of Gili.T. The dive took me down to 12m with a visibility of around 20m, I was spoilt rotten by the number of different fish and marine life on offer including a shole of Big Bumphead Parrot Fish, Lion Fish, Scorpian Fish, Manta Rays & Hawks-head Turtles to name a few! 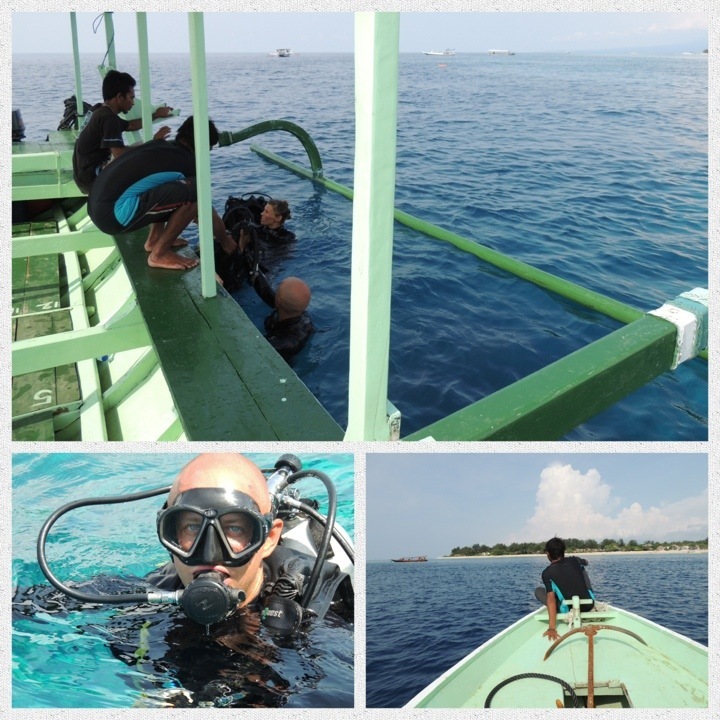 The diving boat – preparing to go under. After a couple more days of snorkelling and quiet time we decided to head across to Gili Trawangan the livelier of the islands. 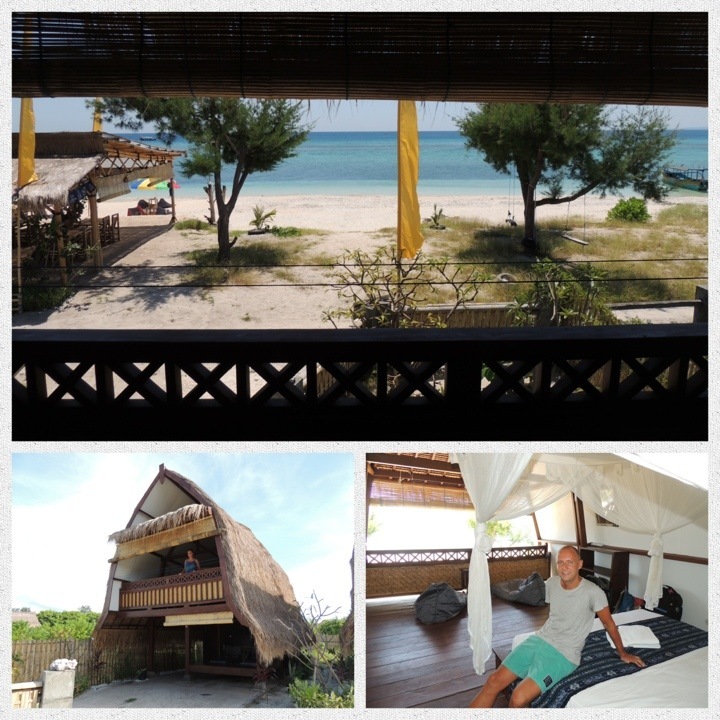 A harsh contrast to Meno to say the least, Gili.T was much busier, louder and had a lot more amenities that Meno didn’t have – but had a cash machine we were in need of! The snorkelling was still good here if you went out early morning when their wasn’t many fishing / shuttle boats going by, and being so close to Meno meant we still had the same beautiful turquoise waters surrounding us. 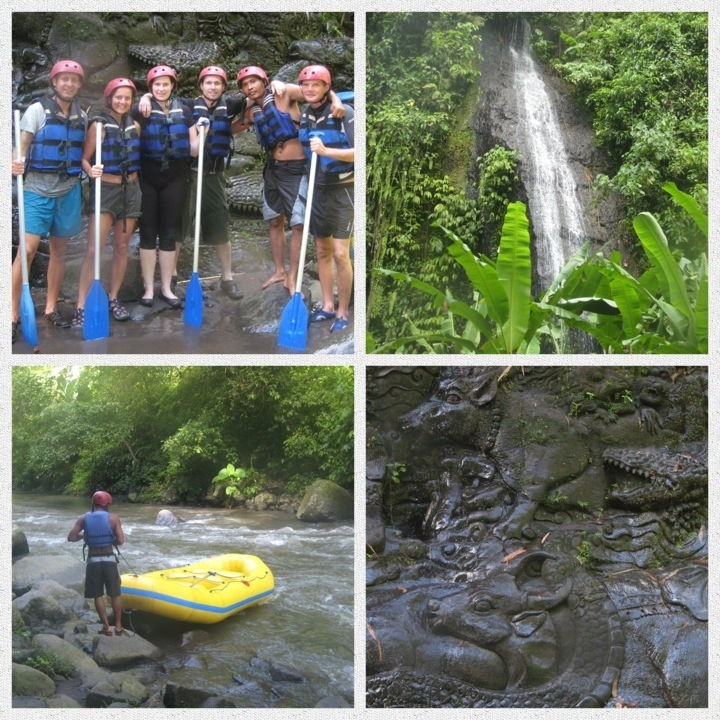 After a couple of nights we were ready to move on to finish our trip in Bali, where we are to fly home from. 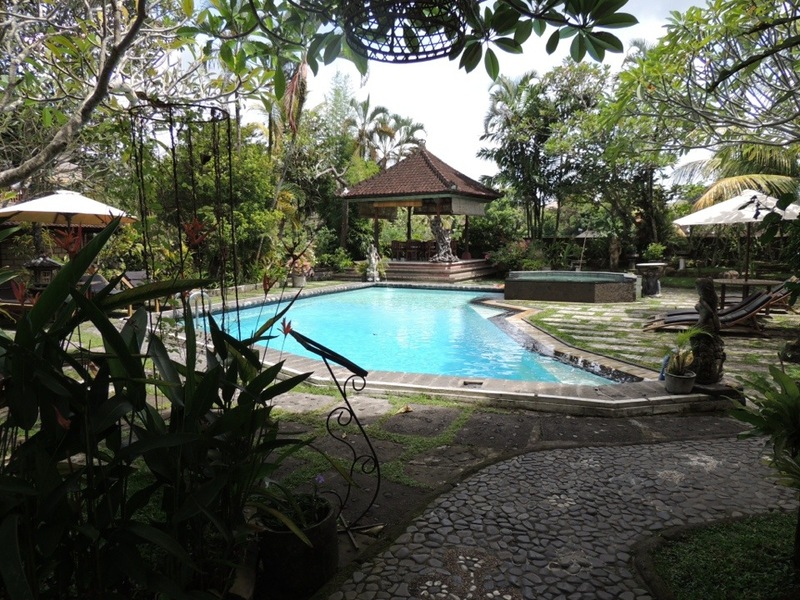 Rather then face the dreaded Kuta beach we had heard so much about (nothing good what so ever) we decided to go back to the calm of Ubud for our final two nights. Lombok is an island in the province of West Nusa Tenggara, Indonesia. 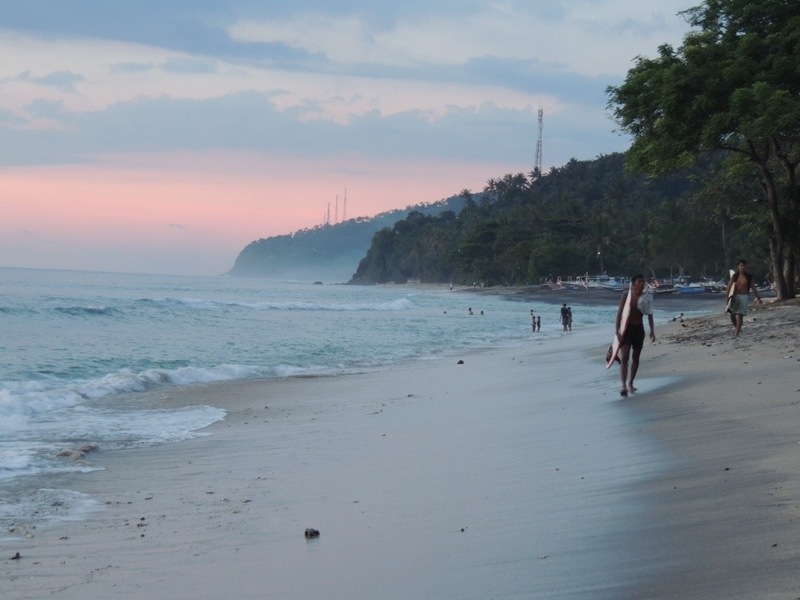 It takes only 1 hour to get to Lombok from Bali on a speedboat but is thought to be a considerably different place. 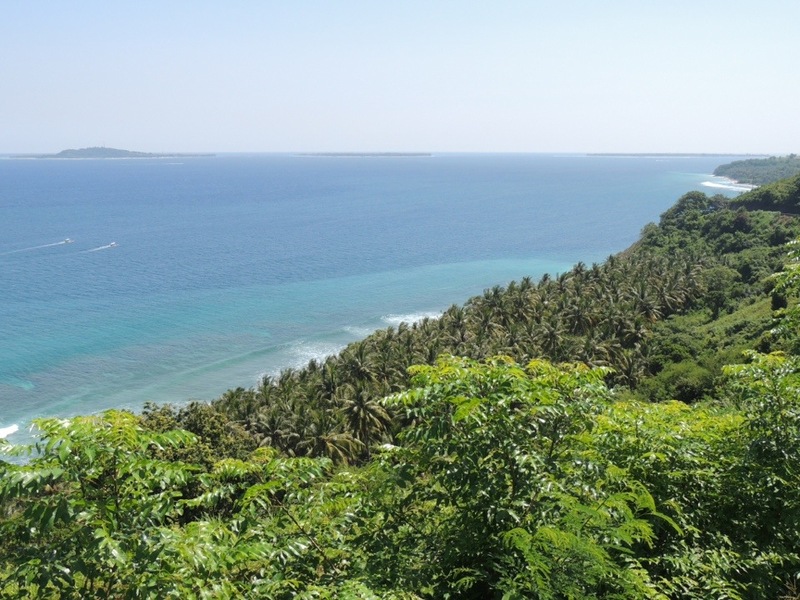 The landscape in Lombok appeared to us to have all the best features of the ones we had witnessed throughout our travels in Indonesia – lush jungle, volcanic mountains and blue water beaches surrounded by palm trees. The native people of Lombok are predominately Sasak, migrants of Java, they are culturally similar to the Balinese but follow Islam in opposed to Hinduism. The Island has many mosque and it is very common to be awoken by the loud speaker call to prayer at 5am. 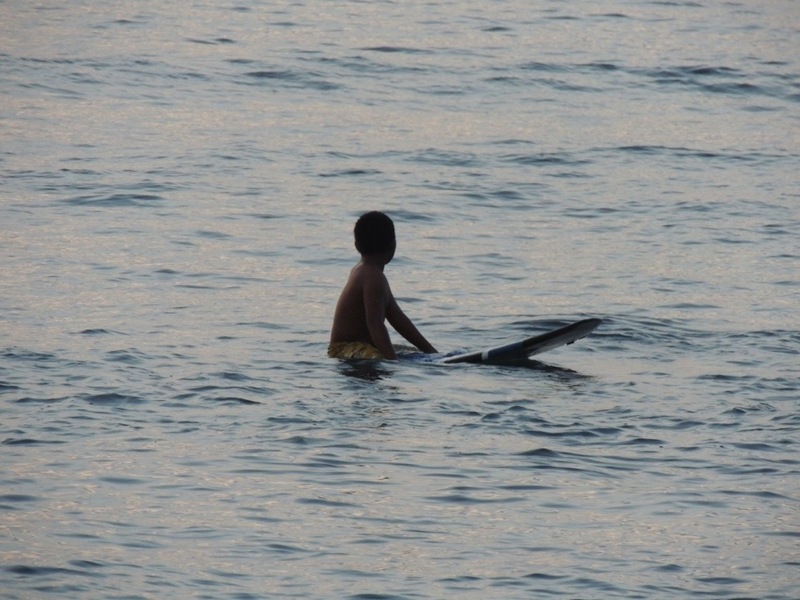 One of the highlights of Lombok was watching the local children play and surf in the ocean after their day at school… The people here lead a simple way of life compared to the UK but seem very happy and contented. 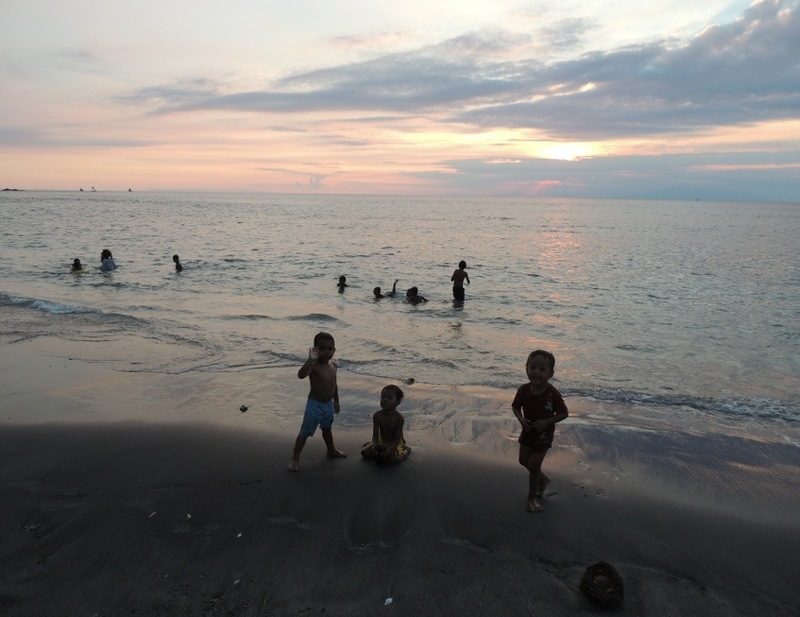 At sundown on our first day we were lucky to witness a traditional Sasak wedding. The sound of the drums from a local band/dance group was the first thing to grab our attention, this was quickly followed by the chants of excited children and locals who ran to join in the celebration. The people continued to dance the night away until the brightly dressed bridesmaids and new bride and Groom had arrived to the beach by fishing boat and finally seated for their wedding breakfast. 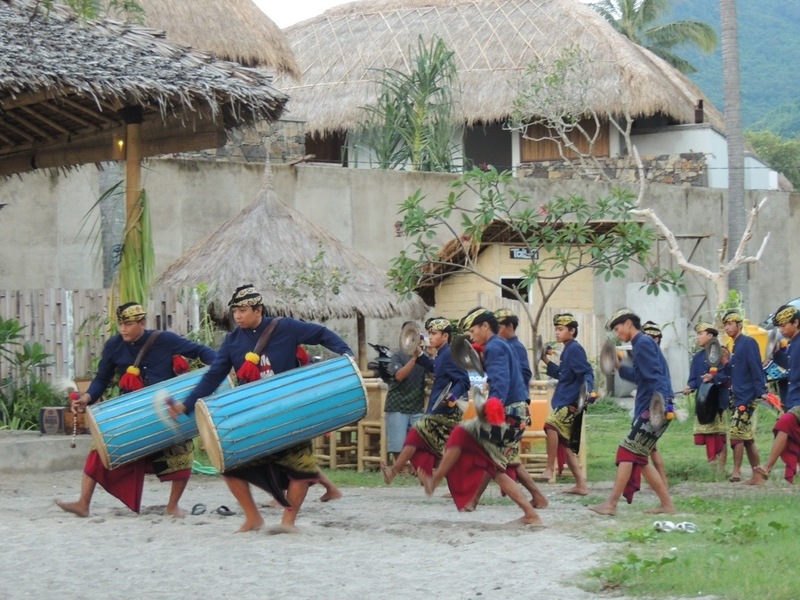 The local band playing at a Sasak wedding. Locals surround them to join in the celebration, the children copy the dance moves of the group. The bridesmaids waiting for the bride and groom to arrive. On day 2 of our trip we decided to rent a moped and explore some of the Island. Every corner we turned on the windy coastal road we saw views of the stunning west coast line and surrounding mountainous jungles. 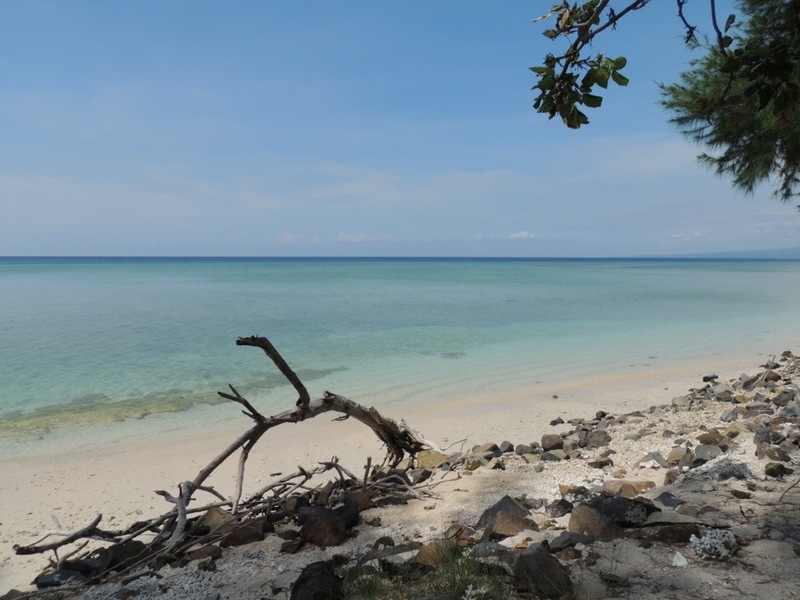 We stopped to view and ‘attempted’ to photograph our next destination the Gili Islands, not so far away but difficult to see due to their flatness these islands have been referred to as the pancake Islands. The Gili’s – if you look carefully you can see the 3 islands on top of the ocean. 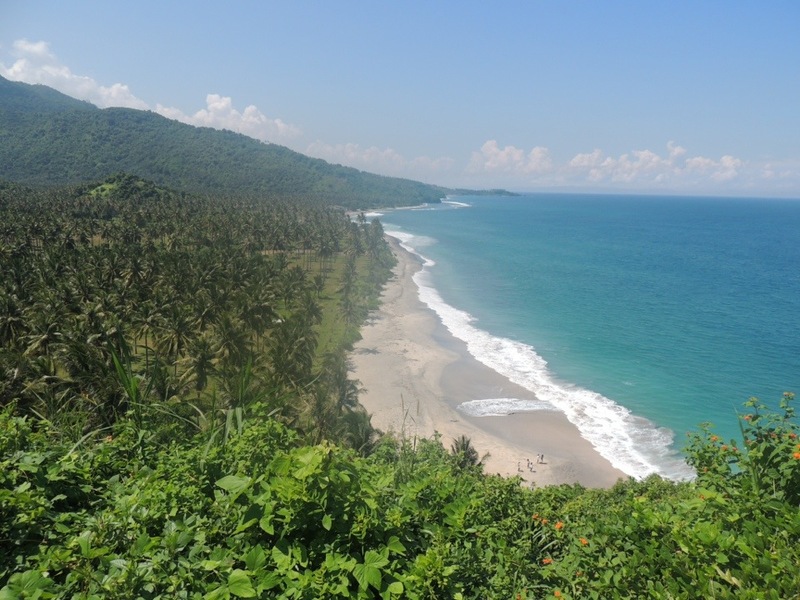 Beautiful coastline and lush jungle. 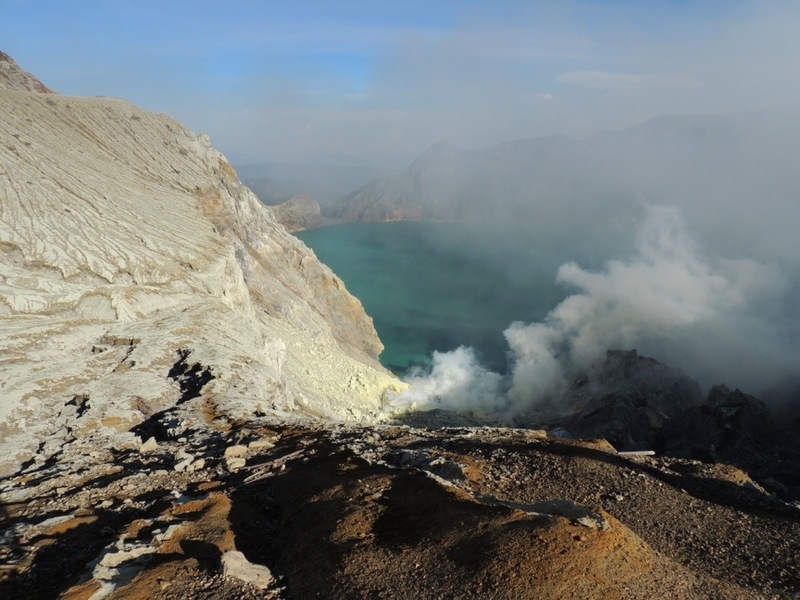 Woken at 3:30 am to the sound of chants from the local mosque, we started our day with a short drive &2 hour walk that brought us to the Ijen Volcano complex, a group of stratovolcanoes in East Java. 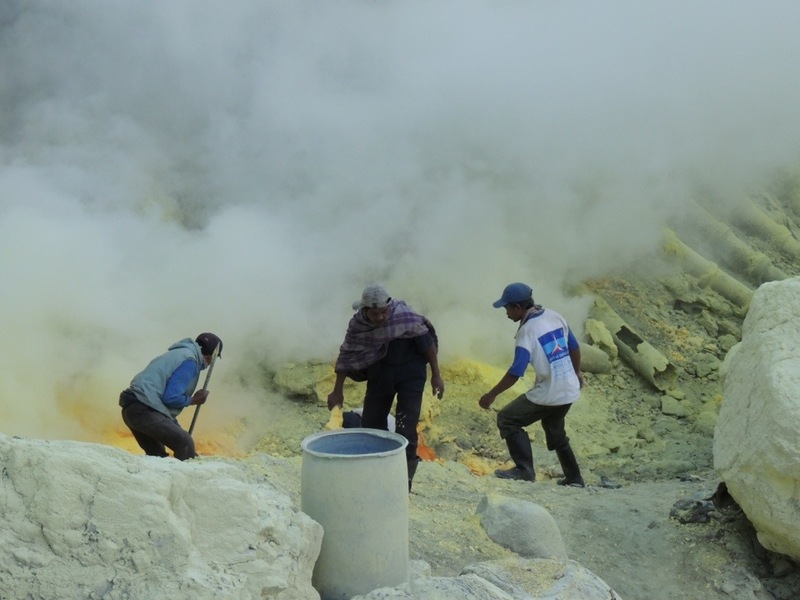 The Ijen Volcano has a turquoise-coloured acid lake in its crater and is famous not only for its beauty but for its very labour intensive sulphur mining operation. 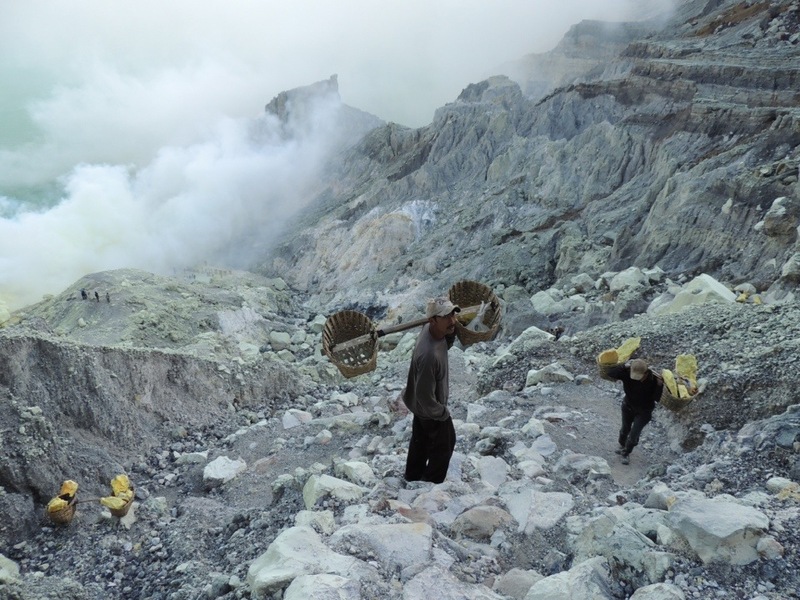 The miners Generally do two trips/ 6 days a week, carrying 100kg baskets of the yellow sulphur up 300mtr from the crater base to the crater rim then down nearly 2 miles to the Pultuding valley floor. I (George) tried lifting these baskets and they are not only very heavy but very painful and awkward to carry. 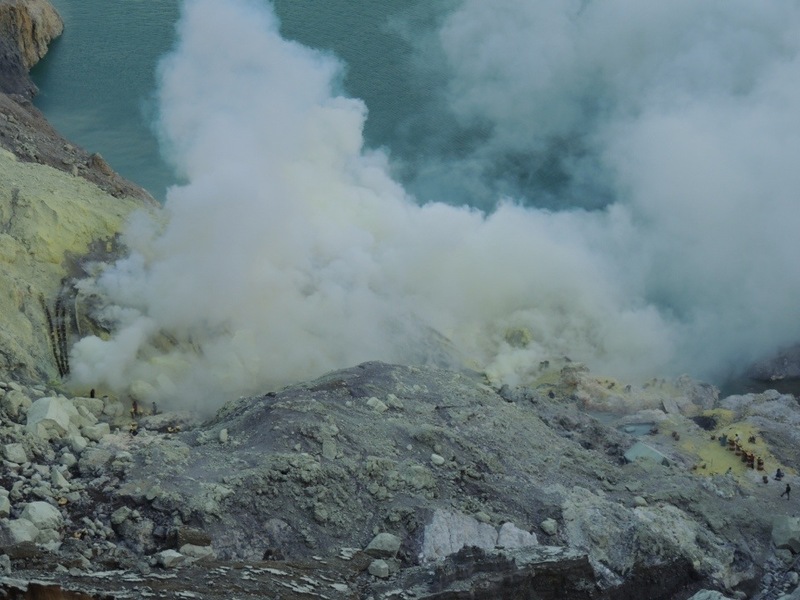 In addition to the carrying of the heavy sulphur they have mine the it themselves, using crowbars to crack chunks of the cooled molten Sulphur,and using no breathing apparatus or face protection in the eye and chest burningly thick white sulphur gas. 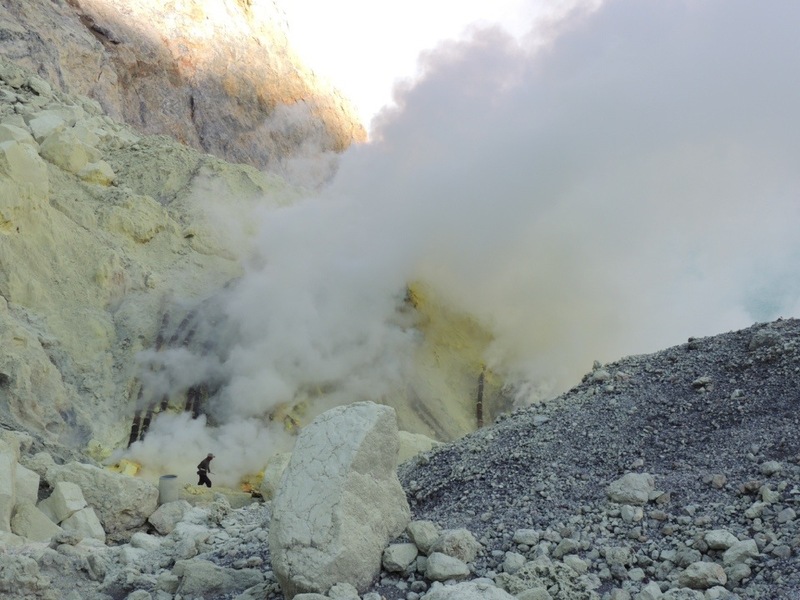 You may notice the ceramic pipes in the pictures which escaping volcanic gasses are channeled through, these result in condensation of molten sulphur (dark orangey red) which then cools in a pool turning bright yellow when it solidifies. Unbelievable! The workers only earn around £7 a day, and tend to not live to an old age as they generally suffer from major respiratory problems. Then the tough work starts… Carrying around 100kg up 800mtr on these winding, rocky paths then down 2 miles to the bottom of the valley. I take my hat off! 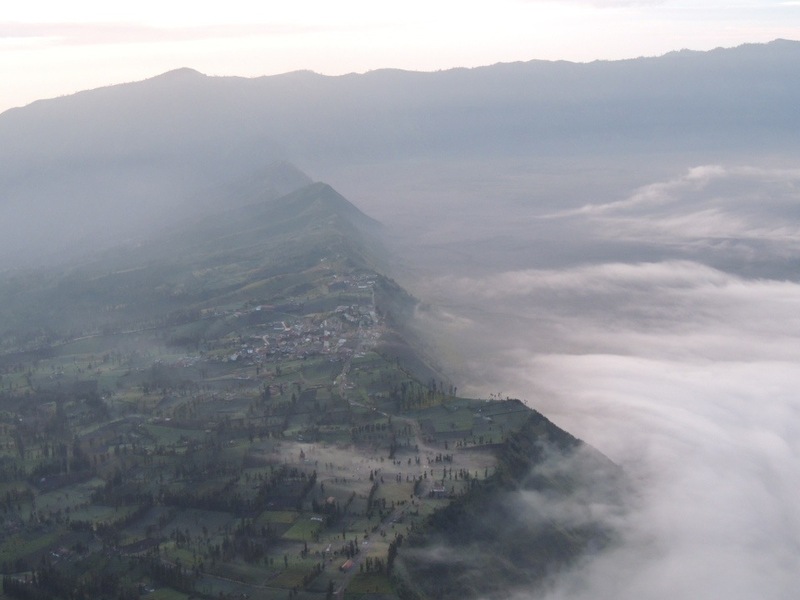 After a pleasant 5 hour train journey and 3 hours by car we arrived at Cemoro Lawang and our place for the night – Lava View Lodge hotel which overlooks the Tengger Semeru National Park & Mount Bromo. 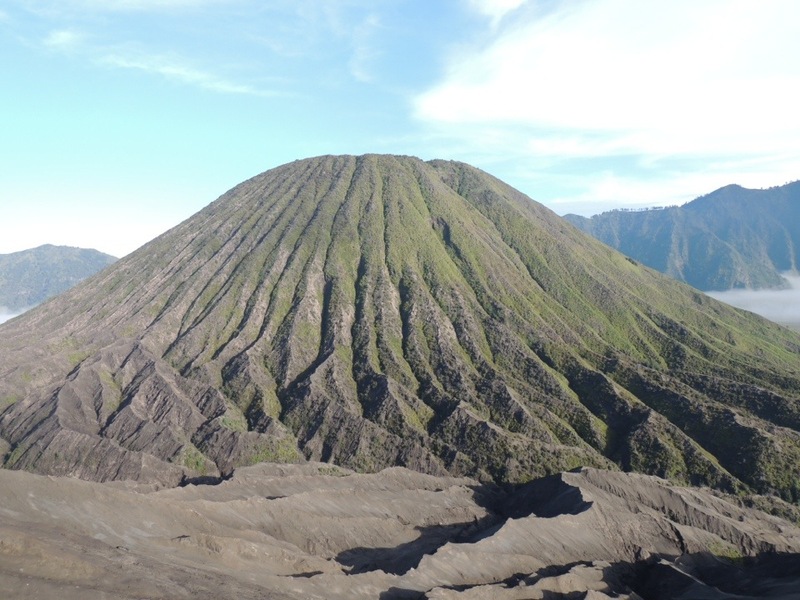 Mount Bromo (Indonesian: Gunung Bromo), is an active volcano in East Java that stands at 2,329 metres, it is not the highest peak in the region but is the most known since erupting towards the end of 2010 until mid 2011. 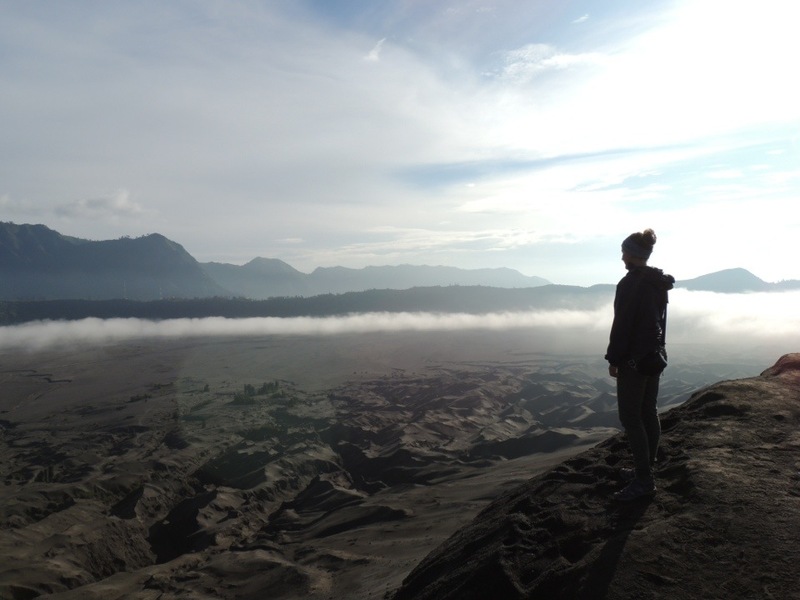 We woke at 3.30am and took one of the local Jeeps through a vast plain called “the Sea of Sands” to a popular viewpoint for sunrise that overlooks the Bromo national park and the surrounding Volcanos. 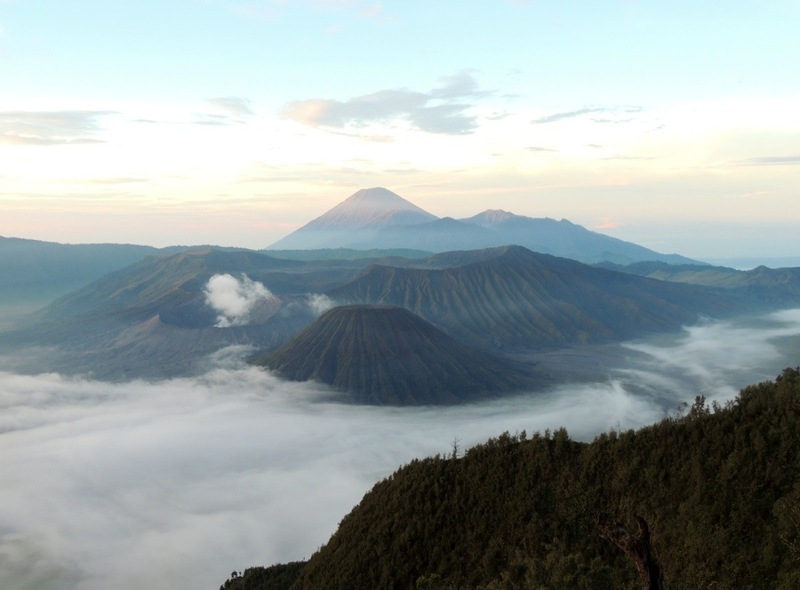 Once the sun started to rise the views were incredible, the area looked like what you would imagine the moon to look like with vast areas of volcanic ash, big craters and Bromo billowing out a white smoke in the background – it was unlike anything we have seen before. 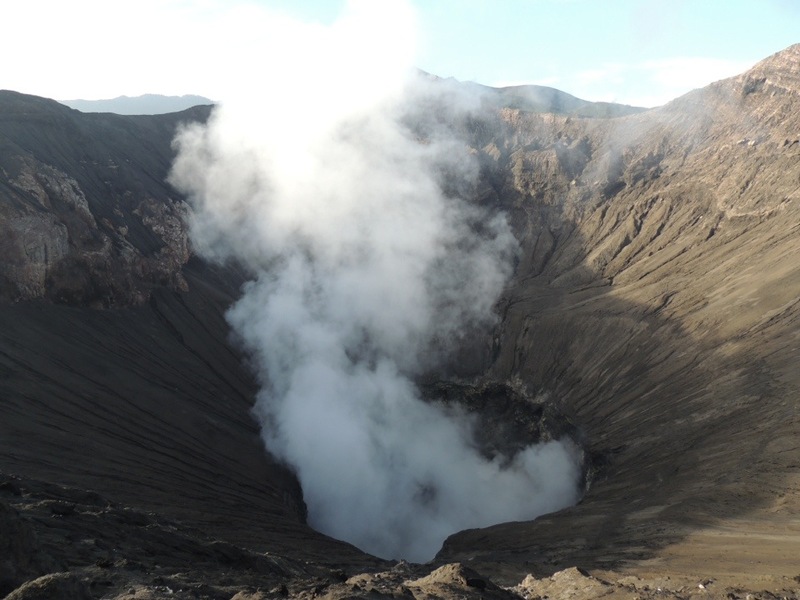 After a few hours we returned to the base of Bromo to start our short walk up to the summit for close up views inside the Volcano!